The Cooperative will run different events to promote partner loyalty and bring in the younger population. Founded in 1886, La Unión Obrera is one of the country’s leading Consumer Cooperatives. From its spacious premises, covering over 500 m2, it currently serves the entire Llanada Alavesa district, and employs four people. Over more than 130 years of history, La Unión Obrera, S.Coop. has made a name for itself thanks to its great service for “both partners and non-partners”. Over all this time, most of its partners have served on the Executive Council. “Because of that, partners are aware of all the difficulties that the Cooperative has been through from both the inside and the customer’s point of view. 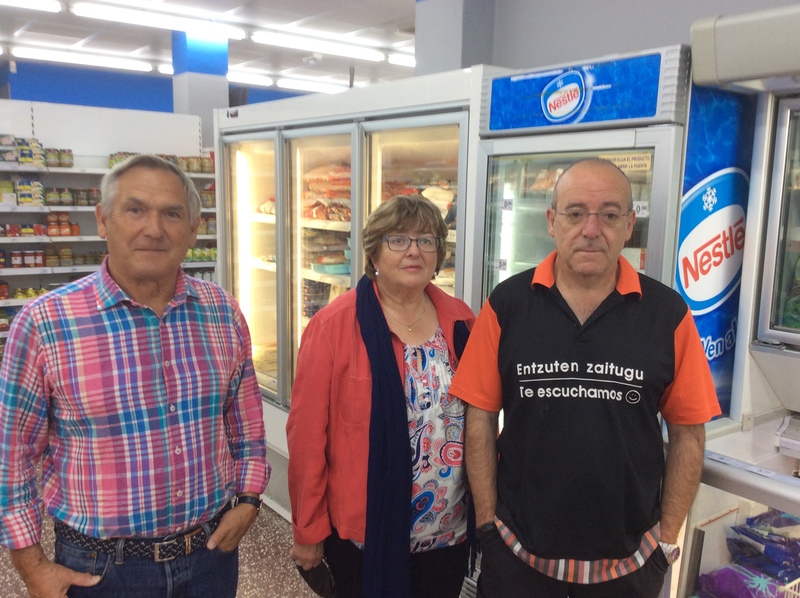 This means that cooperative members are fully involved,” emphasises Marian Otxoa, President of La Unión Obrera. Regarding the future of the Cooperative, Marian Otxoa tells us that they are analysing other purchasing methods, “using other lines that involve not going to the store, as well as shopping discounts or vouchers to promote partner and customer loyalty, among other ideas.” The Cooperative administrators also emphasise that work is required to get people to appreciate local shops, selling natural products, supplied by a nearby producer. “In short, natural, good-quality products with greater added value,” they add. This entry was posted in NEWS and tagged Cooperativism, Others, Values. Bookmark the permalink.